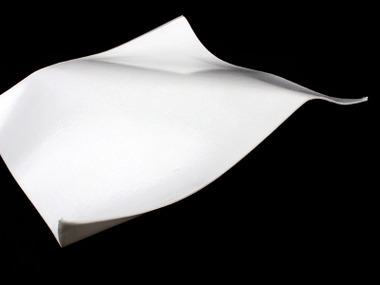 This is 4 ply vertically and horizontally laminated, flexible sheet that can be bent in any direction. The sheet will retain the shape it is bent into. The material can be die-cut and re-sized with other plastic cutting tools.